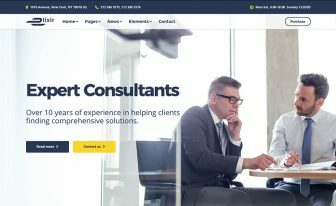 BizExpress is a free One-page bootstrap HTML5 template for business, agency and personal website. Use this free responsive bootstrap template any website. BizExpress is a Free One-Page Bootstrap HTML5 Template. It’s a clean, mobile-first bootstrap template which is very easy to customize. 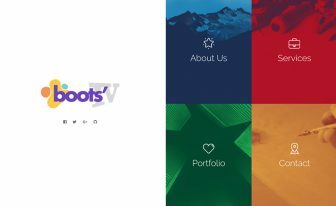 This free bootstrap template comes with 8 important sections. All of them are working properly. 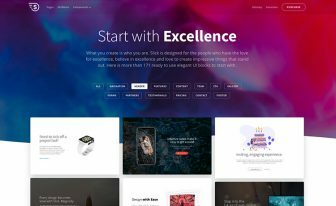 BizExpress, the free bootstrap theme is based on the bootstrap framework, a sleek, modern and powerful front-end framework for faster and easier web development. Twitter Bootstrap has become the world’s most popular front-end framework. It is super flexible to design and modify a website. 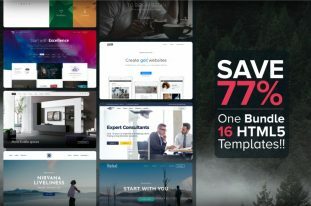 Thousands of pre-made elements are included in the framework for faster web design and development. It comes with dozens of components ready to use (tabs, menus, alert boxes, pricing tables, rounded images, etc…). BizExpress is powered by Bootstrap. It makes the template super responsive. The free one-page bootstrap HTML5 template is easily accessible and readable from any devices – tablets, iPad, mobile phone, desktop, laptop and so on. You can use this responsive template for your next business website, personal website or agency website. BizExpress is easy to use one-page portfolio template with loads of great features. There is service section to showcase your services. A great content strategy is implied here to show each service along with a title and a related icon. There is sortable portfolio section. You can tag each portfolio with the corresponding category. 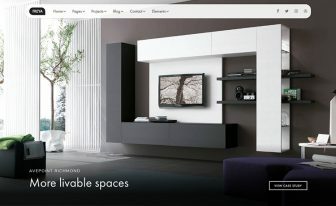 If you hover any of the portfolio items, the project title, a short description is available then. A very good template for building a personal branding or business website. As a free template, BizExpress ranks among the top list. There are many cool features in this free one-page bootstrap HTML5 template. 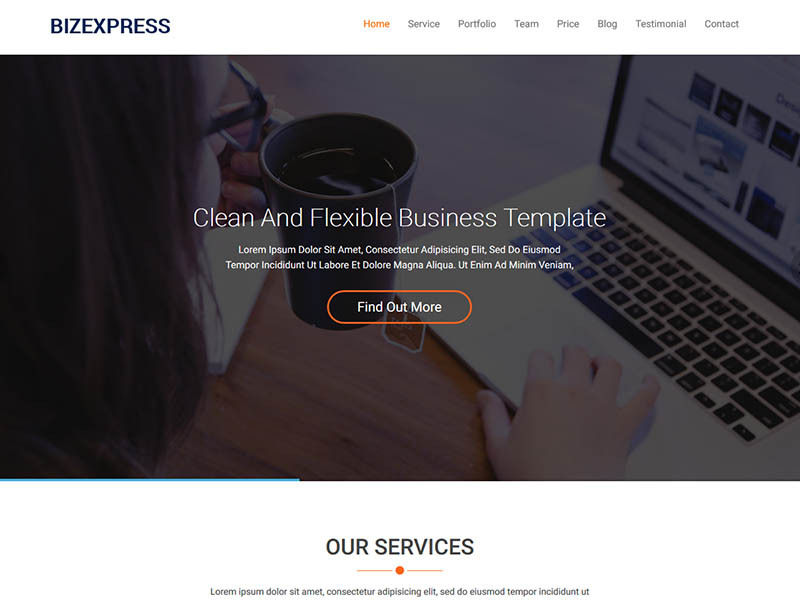 Do you like BizExpress, the free one-page bootstrap HTML5 template? Share it with your friends. Let the world know about this awesome business theme. Not so Creative. As usual template like other free templates. Has anyone modified this template to use dropdown navigation menu? I’m trying to modify one of the navigation items to contain sub items, but when viewed on small device the menu is not expanding to show all items. Thanks in advance for any suggestions.